Schiszler Péter, the owner who had been working in wine-growing for 20 years, had a dream of creating something really special. He wanted to make a premium-quality pálinka that has an effect on every sense both from the outside and the inside. He realized that fabricating a good product is not enough, it needs to be supported by good design. It was important to make traditions appear, to emphasize pálinka drink’s manly character – as well as to embody special premium-quality and moderate elegancy. Our client expected a packaging that attracts the attention of people and embeds itself to their memory at the same time. 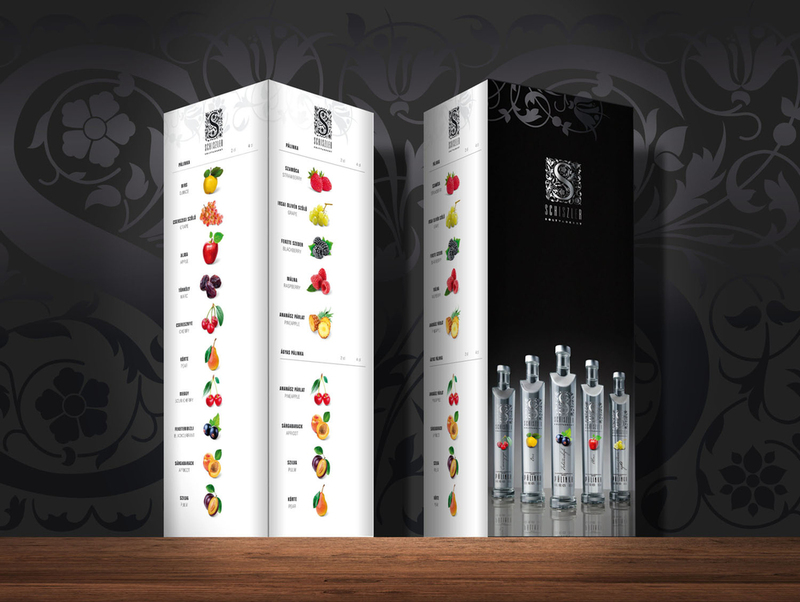 Café Design has received the assignment from Schiszler distillery to design image for Schiszler pálinka being on the verge of launch in March, 2011. 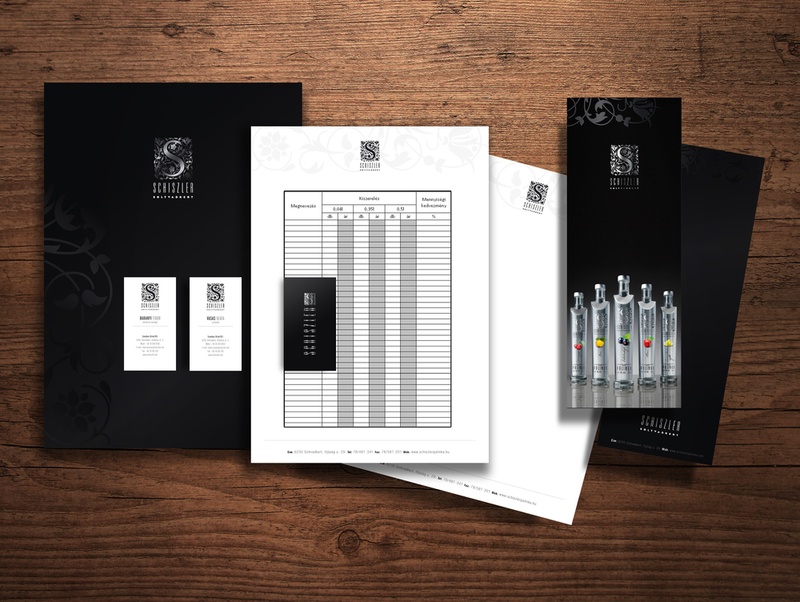 Our task was to create the entire visual image of the brand, to start with the logo and the packaging. Our client expected to see a memorably, unordinary and modern, still elegant world. One not only recognised but remembered by people. We have sensed since the time of our first meeting that this assignment would surpass the limits of a simple label design. We need more to express the essence of pálinka, the tradition, the meaning of being a ‘hungaricum’, the fruity taste, the mood of the endless plain and the ‘outlaw’ character. What we wanted to achieve is if someone takes this beverage in the hand, they should stop for a moment before tasting it. This is not the kind of pálinka that should be drank down at once, it needs a bit more time to enjoy every drop of the beverage. Besides the taste, we also tried to make the whole image of the product to tell a story. Besides the logo and label design, we introduced some uniquely designed bottles to the client as well. The chosen logo with the initials supports the traditional trends, while the modern-shape bottle provides a counterweight to it. We completed the package with a unique decorative box as well as a website and a sales kit. The colours of the brand are silver and black (or grey), which emphasize the moderate elegancy of the product well. Besides the satisfaction of the client, it was an important feedback for us to see the enthusiasm of the consumers at different festivals as well. It happened, not once, that after the tasting, guests asked for the empty bottles to take away.